Hundreds of children join the caravans fleeing Honduras to the US each year. At home, the army is accused of indoctrinating them. TEGUCIGALPA, Honduras — Dozens of young recruits stood in line, timing their punches and kicks as their trainer called out commands. A few feet away, two of them dropped to the floor to do push-ups. A soldier in full camouflage stood off to the side observing the scene, his hand resting casually on the magazine of his M16 rifle. But this was no military exercise. Watching on from the bleachers, a group of young mothers took pictures as their children sweated their way through the karate class. After being put through their paces, the 9- and 10-year-old girls and boys stood in line on the school’s main patio to pick up pancakes and hot chocolate. Nearby, several colonels and church leaders chatted among themselves. 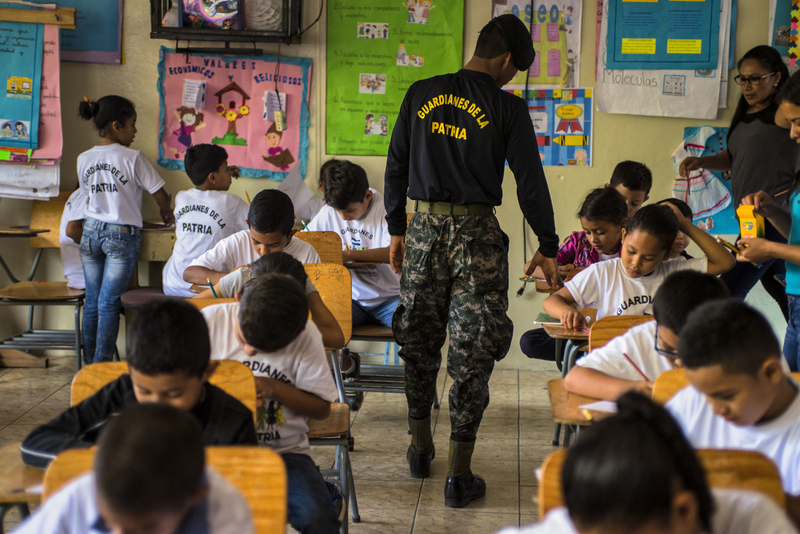 The children are among almost 30,000 taking part in a controversial program in Honduras known as the Guardianes de la Patria — Guardians of the Homeland — sponsored and run by the country’s armed forces, with support from the Catholic and evangelical churches. 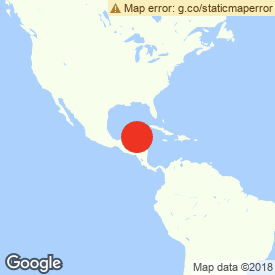 Honduras has one of the highest murder rates in the world and suffers from endemic gang violence, unemployment, grinding poverty, and political repression. Tens of thousands of people flee the Central American country each year, mainly to the US. The Guardians of the Homeland program is intended to give kids from poor, crime-ridden communities in this country of 9 million an alternative to joining gangs while learning about self-defense, self-esteem, and the fear of God. But critics say Guardians of the Homeland is instilling a dangerous brand of nationalism in the country’s youth, winning over future recruits who will be loyal to President Juan Orlando Hernández and increasing militarization in a country where the army has all but substituted the police. 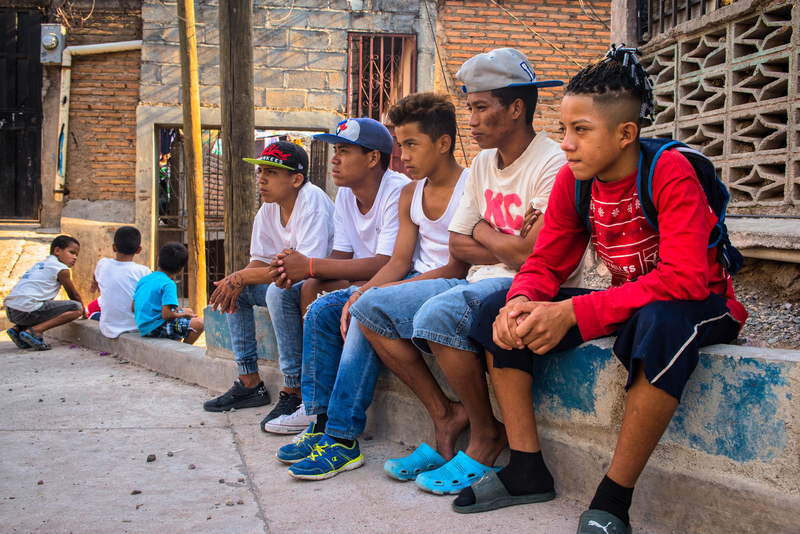 They argue that the program underscores the state’s view that young Hondurans will join one of the many gangs in the country if they do not come under the control of the state. Some parents also worry the army is turning their children into informants by asking them about gang activity in their neighborhoods, putting them at risk of retaliation. A military police officer patrolling the streets of Tegucigalpa. “This program is indoctrinating kids’ minds in order to form generations of children who will one day become soldiers,” according to Carlos del Cid, former head of the children’s program at the Honduran National Human Rights Commission. Many will likely leave the country well before having to face that possibility, however. In recent years, hundreds of Honduran children have sought asylum in the US. Honduras is the US’s closest ally in the region: It receives funding for its security forces — $49 million in aid last year — and hosts a US military base that houses more than 500 soldiers. But many US lawmakers are critical of this arrangement, arguing that the US is effectively funding a repressive regime led by Hernández, who recently won a second term in the face of violent protests and accusations of fraud. “It’s hard to see how our money has contributed to making Honduras a safer and better place,” Illinois Rep. Jan Schakowsky, who traveled to Honduras in 2009, told BuzzFeed News. The State Department said it does not provide direct funding for the program, but Gen. Ponce Fonseca told BuzzFeed News that “maybe they provide some consulting.” Last year, US Marines “worked with the ‘Guardianes de la Patria,’” according to Diálogo, a digital military magazine. Getting kids to take part in the program has been easy for the same reasons thousands of people are fleeing Honduras, many of them joining so-called caravans to go to the US. The country is so dangerous that there are few public places available for children, and there are few jobs to be had — and therefore little money to pay for school with. A handful of graduates from the program get scholarships from Grupo Intur, a Honduras-based conglomerate of fast-food franchises that includes Dunkin’ Donuts, Burger King, and Baskin-Robbins. There may be an even more pressing reason to sign up: hunger. 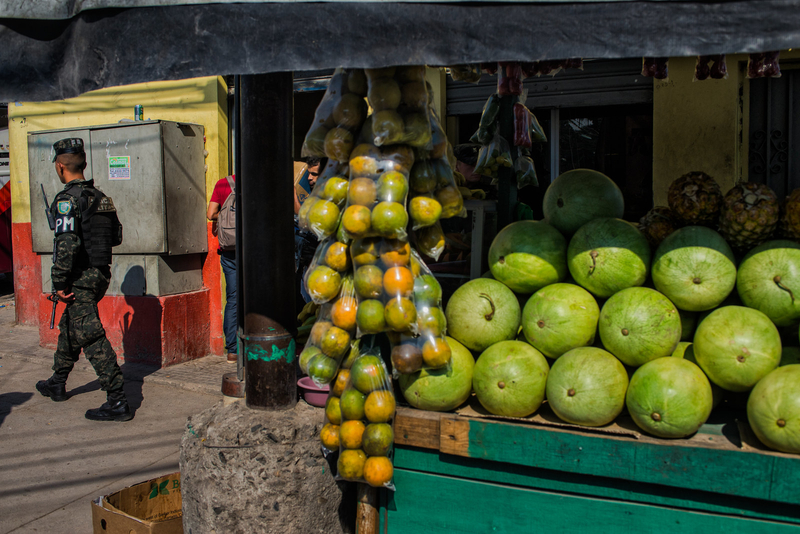 According to the United Nations’ World Food Programme, 1 in 4 children in Honduras suffer from chronic malnutrition. Gen. Ponce Fonseca knows this. “Children leave happy because we give them candy, we give them a sandwich. That is what’s important,” he said. Kids take part in the Guardians of the Homeland program in Tegucigalpa. Bored with the karate class and looking for a distraction during a course this May, two boys zeroed in on a shy-looking classmate in the back row. They chased after her, pulling on her thick braid and kicking her to the ground. She cried but didn’t say a word. When she got up, the boys chased after her again. Finally, a soldier pacing nearby noticed. He walked over to the girl, put a protective arm around her shoulders, and rested his hand on her chest for a moment. He gave the boys a scolding look but said nothing. As soon as the soldier walked away, the bullying resumed. The 183-page-long manual for Guardians of the Homeland instructors, obtained by BuzzFeed News, has a chapter on school harassment. “Spectators need to understand that school bullying is a serious problem and that if they don’t act, bullies will feel empowered to torment their victims,” it reads. The manual also includes lessons on gender equality, the consequences of drug use, “how to pick the right friends,” changes during adolescence (expect “possible acne,” a fuller face, wider hips), and environmental pollution, among others. Children, who wear the program’s official T-shirt and freshly washed jeans, sing the national anthem and take part in collective prayer sessions before heading to classes on civic commitment, spirituality, HIV prevention, and some physical exercise, like taekwondo or Zumba. They frequently interact with soldiers, who play with them and speak to them about their work. Children wait for the activities to start as part of the Guardians of the Homeland program. Military involvement in nearly all facets of life has grown significantly under Hernández, who has turned ordinary policing into a military affair, helping him remain in power. The Supreme Court, one of the many institutions he has stacked with loyalists, ruled in 2016 that he could run for a second term despite the constitution prohibiting it. Violent street protests followed his reelection in November, eight years after a US-backed coup orchestrated by Hernández’s party ousted former president Manuel Zelaya. At least 23 people were killed in post-election violence, some by security forces, according to a UN report. Given the number of irregularities that occurred during and after polls had closed, the Organization of American States and some members of the US Congress called for a repeat election. Despite this, the US decided to stand by its ally. Then–secretary of state Rex Tillerson signed a document certifying that Honduras was supporting human rights two days after the election. The State Department congratulated Hernandez on his victory 26 days after the election. Reports of human rights abuses committed by the military police have piled up. In 2015, a group of US lawmakers sent a letter to then–secretary of state John Kerry urging him to reassess security cooperation with the Honduran government and requesting an itemized report on the use of US funding sent to Honduras. “The United States is providing aid to the Honduran military, and since money is fungible it enables the Honduran military to spend its own funds on things like [Guardians of the Homeland],” Tim Rieser, foreign policy aide to Sen. Patrick Leahy, told BuzzFeed News. “So it is not that we are funding it directly, but we are supporting an institution that is engaging in this kind of thing." Reports of human rights abuses committed by the military police have piled up. Meanwhile, Honduras’s armed forces have continued to expand the Guardians of the Homeland. By the end of this year, 28,350 children are expected to graduate from it, bringing the total number of participants since 2010 to 172,205. In an attempt to counter such criticism, the armed forces recently moved the program’s training sessions from military bases to school buildings. But this only prompted teachers to speak out against the program, which they may believe is a form of indoctrination. “This all sounds nice, but when has the army ever worried about civil society? It’s brainwashing,” E.G., an elementary school teacher, told BuzzFeed News in an interview in his office earlier this month. He asked that only his initials be used, for fear of retaliation from the government. Army officers say military personnel are only involved in “a chat here and there,” leaving the bulk of the interactions with children to psychologists, pastors, and medical volunteers, and insist that they do not bring weapons into schools. But during a visit earlier this month to two of the 51 schools where the program is being carried out, BuzzFeed News witnessed the presence of at least two armed soldiers watching over the children. In one promotional video for the program, young boys are seen jumping through an obstacle course, crawling under a barbed wire, and saluting soldiers. Dany Garcia (center) takes part in the program every Saturday. Dany Garcia is already acting the part: He wakes up every day at 5 a.m., keeps his hair in a buzz cut, and often stands to attention, his arms straight down, chin up, chest out. Dany is a typical participant of Guardians of the Homeland. He lives in a one-room hut in one of the poorest neighborhoods in Tegucigalpa with his sister, their mother, and her boyfriend. There is barely any walking space around the two mattresses, wooden cupboard, plastic table, and tiny stove. The fridge’s two shelves were half empty; the drawer contained a handful of potatoes, two carrots, and some onions. Dany Garcia wakes up every day at 5 a.m., keeps his hair in a buzz cut, and often stands to attention, his arms straight down, chin up, chest out. The family’s rented house overlooks their neighbors’ rusted corrugated-metal sheet roofs, tightly packed along a hill on the outskirts of the capital. Dany is not allowed to speak to the boys living nearby — his mother, Emma Enriquez, worries they will try to recruit him into a gang. Games, food, and company are rare for Dany, and he has not missed a day of the three-month-long program since it began. Every Saturday since February, he has sprayed his “Superman” children’s cologne on his neck, leaped down the steep concrete steps leading from his house into a winding, garbage-filled valley, and run past the soldiers standing outside the school gates. Enriquez likes that her son’s mind is occupied for one more day of the week. It’s a welcome break for him from the whispers of neighbors being forced to pay a “war tax” to gangs, or the news of murdered neighbors and friends, she said. The homicide rate fell from 85.5 per 100,000 people in 2011 to 42.8 in 2017, but people continue to live in a constant state of fear. The mother and son share a worldview that divides the country into two distinct groups: the good guys, who support the government and its armed forces, and the bad ones, who “steal and smoke,” as Dany puts it. Dany Garcia shows his grades and math homework. 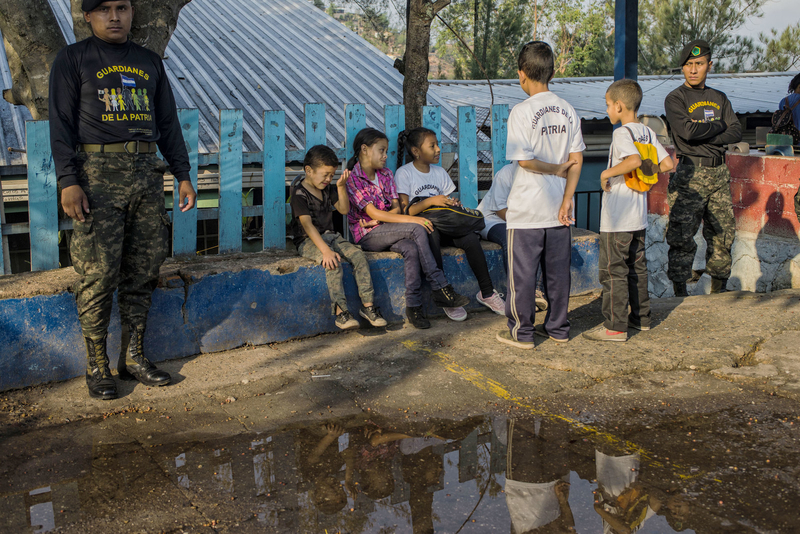 Dany is a math whiz and a talented soccer goalkeeper, but his dreams have adapted to the country’s reality: The few jobs to be had are in the police force or as a private security guard, said Enriquez, who makes $170 a month cleaning schools under a temporary contract. More than half the workforce is underemployed. The two remember the first day of the program vividly. They were excited to visit the Campo de Parada Marte, a sprawling field with running tracks, and watched excitedly as several soldiers played out a “cops and robbers” scene for the audience. “Choose the right path,” one of them warned as a group subdued the supposed thief, Enriquez recalled. Then, according to Dany and other children, the soldiers asked them to raise their hand if they wanted to be in the military and took their names down. The questions didn’t stop there, they say. Critics and parents fear that the army is turning the young participants into unwilling informants, putting them at risk of retribution from criminal groups. Because most children are picked up from their homes by a military bus, neighbors can easily identify who’s involved in the program, adding a layer of suspicion to already strained community relationships. Military police patrol the streets in downtown Tegucigalpa. S.R. hovered under a tree behind the school, looking around nervously. She said her son had just recognized one of the men who had barged into her house: He was now among the soldiers interacting with other children. Critics of the course agree. “It makes children very vulnerable,” said del Cid, the former head of the children’s program at the Honduran National Human Rights Commission. Del Cid undertook a three-month investigation into the program in 2014, shortly after the UN released a statement of concern about it. A few days after completing it, he was fired. Army officials are extremely sensitive about negative coverage of the program and say that they prefer it to receive no publicity at all. Those who speak poorly about it are “people whose hearts are hairy and dehydrated,” said retired Col. Saul Orlando Coca, who founded the program in 2001. “They still haven’t realized that the institution that has evolved the most in Honduras in terms of education is the armed forces,” he said, before beginning to cry while talking about his relationship with God and how the program has been his salvation. The Catholic and evangelical churches’ role in the program has added to the controversy. Pastors lead prayers at the start of each session, and volunteers teach the children about sexual abstinence. Gang violence is rife in some of the poorer neighborhoods, which many residents say have been neglected by the current government. Back at Dany’s school, the karate class was wrapping up. The children gathered around a soldier who was doing an attendance check. They started pushing each other, trying to peek at the soldier’s notes. Suddenly, two boys started to scuffle. The bigger one shoved the other out of the circle and gave him a menacing look. Emy Padilla contributed additional reporting to this story from Tegucigalpa.